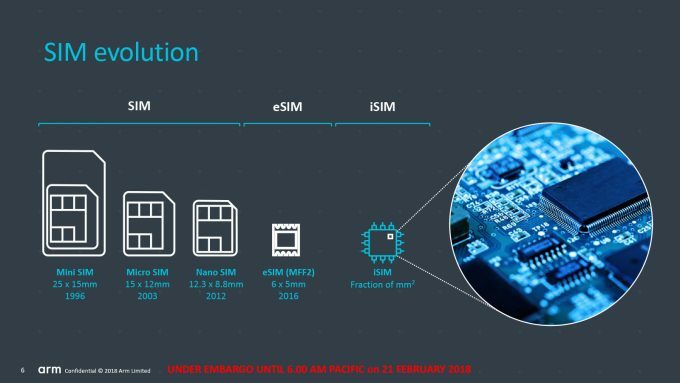 In advance of next week’s Mobile World Congress, Arm has announced how it’s going to get cellular connections into a trillion devices (eventually!). With the word “trillion” being thrown around, you can already tell that we’re talking IoT (internet of things) devices, which, inevitably, will be everywhere. 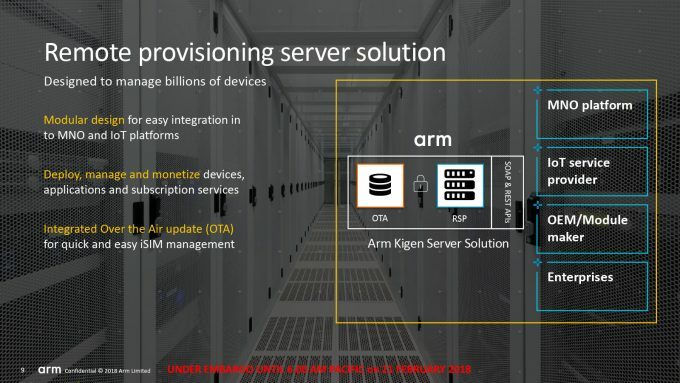 Arm wants us to have a future where those IoT devices use a cellular network as the go-to, and it’s for a handful of reasons. Cellular is battle-hardened; it has a high quality of service, strong security, and it has the capability to scale in the way we need a wireless tech to. The problem is probably obvious: SIM cards are big. Even nano SIMs are “big” compared to how small product makers need them to be. In the shot below, you can see SIM comparison sizes, with Arm’s iSIM proving the smallest at a fraction of a mm square. No longer would a SIM be a separate chip or card, but instead be embedded into the SoC. What brings this to a reality is Arm’s Kigen, which is comprised of two components. The first is a SIM operating system destined for IoT SoCs, while the second is a remote provisioning server solution for carrier, cloud, and OEM platforms. The goal is to be flexible, and feature-rich. Oh, and inexpensive. This does raise the question of how the SIM is programmed, which is where remote provisioning comes in – but it also means users won’t easily be able to change providers, at least right now. These issues are currently being resolved between ARM and the carriers. 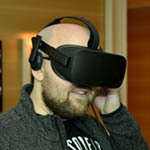 Since these are meant for IoT devices, then it’ll likely come down to the product manufacturer to manage, rather than the end-user, as the device will inevitably be tied to a subscription service for the cellular connectivity. This might seem like a SIMple (sorry) release, but it’s far from it. iSIM could allow all of our IoT devices to use the same network our mobile phones do, and that means operation through a safe protocol, and one that authenticates for you. With IoT devices off of a Wi-Fi network, it means less security issues, and less chance you come home to 100 degree heat and a fridge that’s ordered 10 tonnes of creamed corn. Many factors make iSIM and Arm’s Kigen in general highly alluring, and really, it’s nice to see this design finally here because it’s needed as soon as possible. 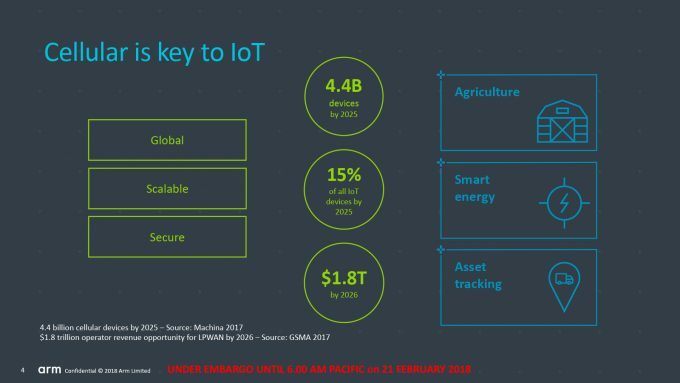 Machina’s research shows that there will be 4.4 billion cellular devices in use by 2018, and 15% of those will be IoT devices, which is up from 5% in 2017. Who will be really happy are the carriers, who stand to gain $1.8 trillion by 2026. That’s some good work if you can get it.